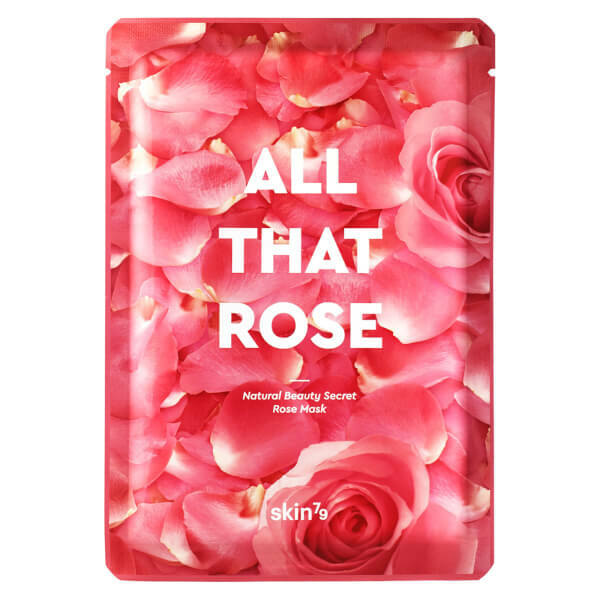 Pamper dry, wanting skin with the All That Rose Mask from Korean brand Skin79. 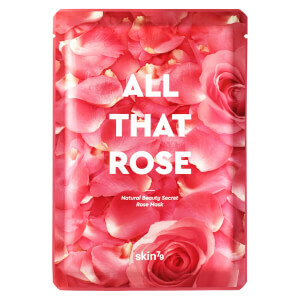 Infused with both oil- and water-based Bulgarian Damask Rose extracts with anti-ageing benefits, the natural sheet mask is made from rose yarn petals for an indulgent experience. Delivering essential antioxidants and vitamins, skin feels moisturised and nourished with a soft, supple texture akin to a rose petal. After cleansing and toning, apply mask over dry skin and leave for 10 minutes. Remove mask and gently pat skin to promote absorption of excess serum. Continue with skin care routine. Water, Glycerin, Butylene Glycol, Hydrogenated Poly(C6-14 Olefin), Xylitol, Betaine, PEG-32, Cyclopentasiloxane, Silica, Neopentyl Glycol Dicaprate, Methylparaben, PEG-60 Hydrogenated Castor Oil, Phenoxyethanol, Cetyl Ethylhexanoate, Cyclohexasiloxane, Hydroxyethyl Acrylate/Sodium Acryloyldimethyl Taurate Copolymer, Acrylates/C10-30 Alkyl Acrylate Crosspolymer, Triethanolamine, Ceteth-20, Steareth-20, Dipotassium Glycyrrhizate, Xanthan Gum, Dimethiconol, Cetearyl Alcohol, Glyceryl Stearate, Ethylhexylglycerin, Fragrance, Rosa Damascena Flower Water (100ppm), Rose Extract (100ppm), Disodium EDTA, Steareth-2, Tocopheryl Acetate, Sodium PCA, Rosa Rugosa Flower Extract, Citric Acid, Potassium Sorbate, Sodium Benzoate, Rose Flower Oil (0.1ppm).